Cary Grant Learning His Lines. 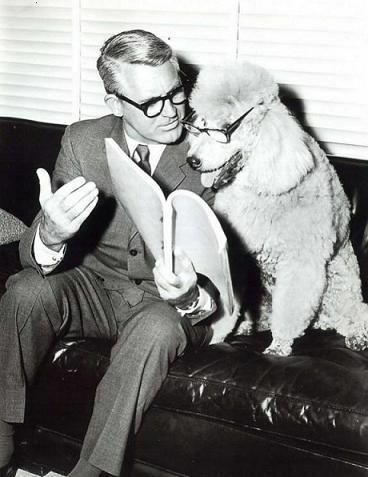 cary learning his lines with a dog. Wallpaper and background images in the Cary Grant club tagged: cary grant dog reading lines image photo. I love this one! The dog is sooo cute in those glasses, looks like he's really reading his lines! Yeah ! it's such a lovely picture !